Natures Image stands behind our promises and our employees. The way we treat employees is the way we treat our clients. Most of our employees — whether administrative, supervisors or field workers — have been with us for years. That’s despite the grueling nature of the field work and the dangers that can be encountered out in the wilderness, including bears, cougars and snakes. Of the first two employees we hired in 1995, one remains with us; the other retired from the company in 2017. 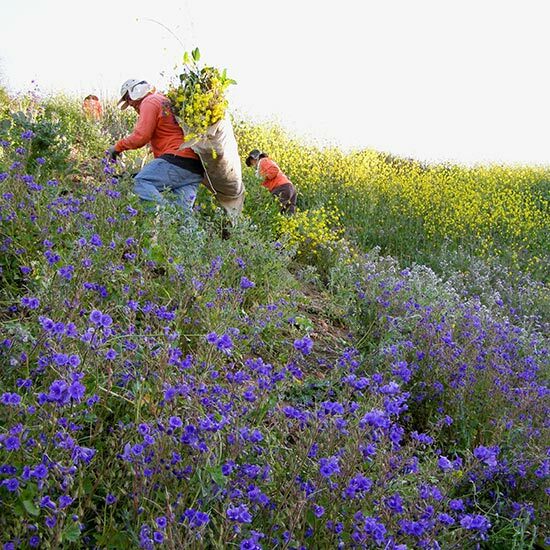 Our field crews are trained and experienced in the identification, handling and care of hundreds of native plant species, including endangered and protected species. This field expertise is vital — it significantly reduces a project’s risk of incurring unexpected costs through damage or destruction of critical native species. We own a full complement of heavy equipment used in the restoration process. We are also the only company with a seed imprinter we developed that works on slopes. With our specialized machinery, we can clear thousands of acres of the toughest growth. Clients know us for putting quality projects together, completing our projects, doing quality work and being resourceful. Each project is unique, and everything is custom. The goal is to create a functioning ecosystem with long-term sustainability — one that will thrive with as little human intervention as possible. 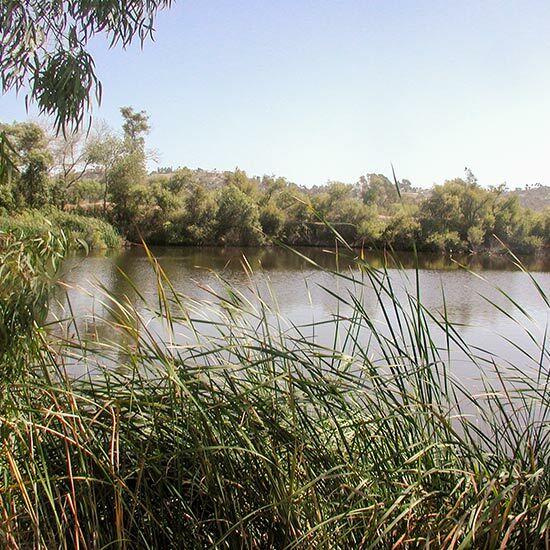 We are skilled at creating and enhancing all kinds of habitat: chaparral, coastal sage scrub, desert, grasslands, marsh, riparian, wetlands, woodland, and vernal pools. No matter what kind of landscape you need to restore or enhance, we have the experience and expertise to handle the unique challenges your project imposes. We are unique in our ability to eradicate invasive pests while protecting existing native species. Our crews’ expertise includes chemical, manual, and mechanical weed removal and control. Our staff includes licensed Pest Control Advisors, Qualified Applicators and operators. 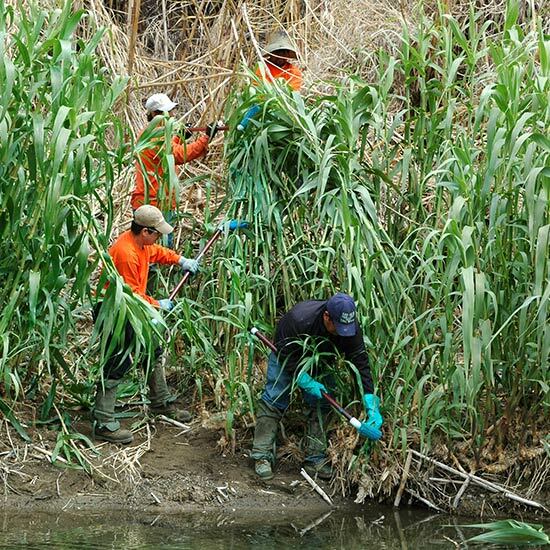 All are experienced in eradicating giant reed, pampas grass, artichoke thistle, water hyacinth, veldt grasses, pepper weed, castor bean, tamarisk and many other exotic invaders. 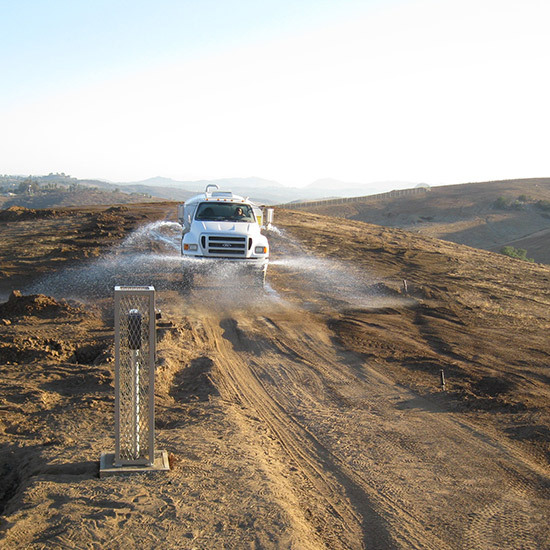 Imprinting is a low-cost alternative to hydroseeding in areas that hydroseed trucks cannot access or where water is not available. It also makes better economic sense on very large acreage. As one of the first companies to offer imprinting, we have designed and supervised the manufacture of our imprinters and remain at the forefront of imprinting innovation. That is especially true of the slope imprinter, which is unique to Natures Image. A StormWater Pollution Prevention Plan (SWPPP) addresses all pollutants and their sources that are associated with construction activity. SWPPPs are required for construction sites of more than one acre. Our company is certified to design, inspect and install plans for SWPPP compliance. Improper installation can lead to expensive fines. 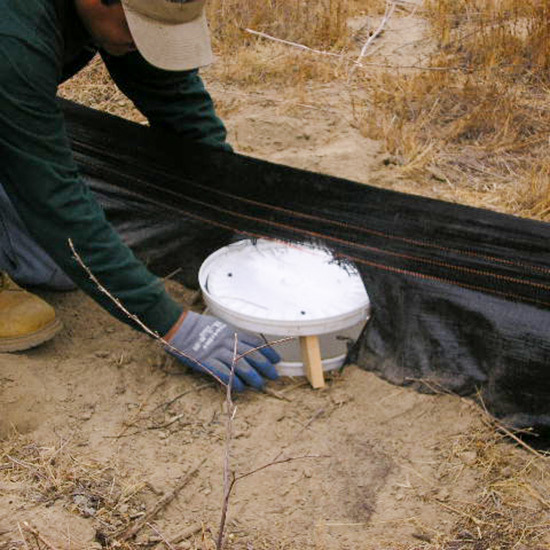 Our crews have installed and removed trapping arrays for biological surveys in remote locations throughout the West. Installation is based on the biologist’s design and targeted species. Our projects have included linear arrays, T-arrays and Y-arrays with several different types of traps for different species. 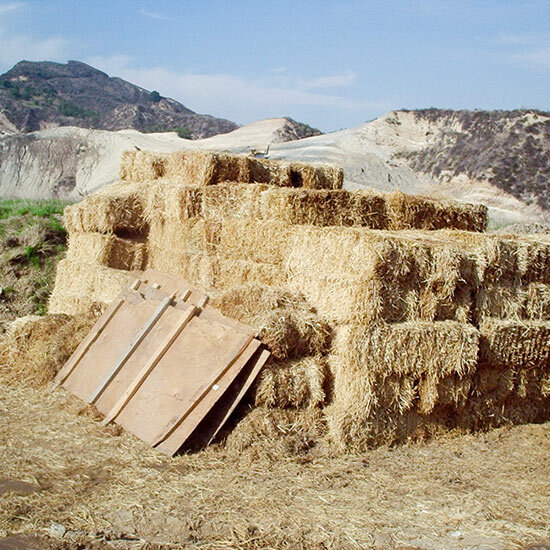 Straw blowing is a relatively low-cost erosion control measure. Applying straw is a quick and efficient short-term way to control erosion. Our staff can recommend application rates and the variety of straw most appropriate for your site. We own and operate our straw blowers and equipment. We design and install irrigation systems for restoration projects. Our knowledge of how much water a native plant community needs and what system will meet those needs makes us unique in the restoration industry. 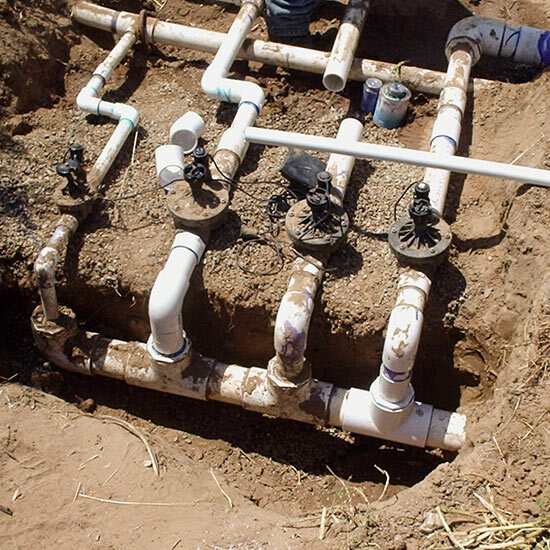 We have designed and installed innovative irrigation systems utilizing gravity flow, electric pumps, solar pumps, and gasoline-driven pumps on projects from one to 100 acres. 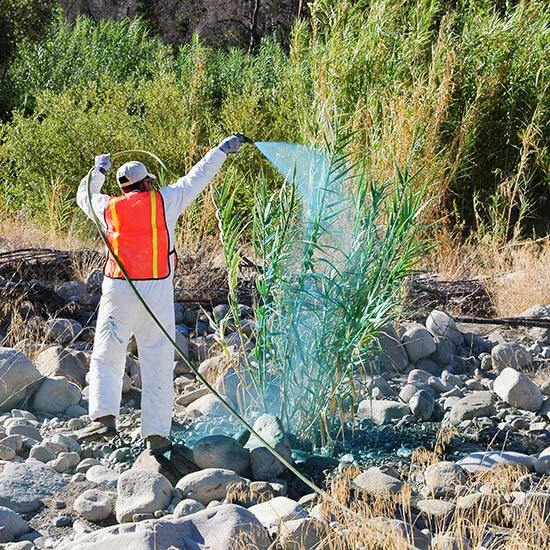 Our teams of Pest Control Advisors, Licensed Qualified Applicators and Certified Applicators are highly experienced in herbicide applications in remote locations and aquatic ecosystems. We have applied herbicides safely and effectively in marsh, riparian and wetland habitats. In addition, we own four-wheel-drive trucks that carry ski-mounted spray rigs capable of reaching very remote sites. Understanding the critical part that soil conditions and water levels play in installing an aquatic plant palette, our experts have the knowledge and experience to successfully plant a full range of aquatic plants. Our crews are trained in low-impact harvesting methods utilizing local plant sources. We have transplanted several endangered species as well as species of concern. 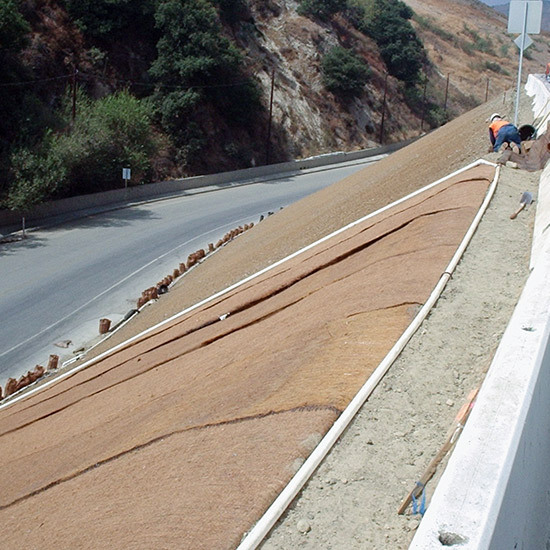 Successful projects have included moving Brodiaea sp., mariposa lilies and Nolina and then maintaining them in place. We also have transplanted larger coastal sage scrub species on several projects. 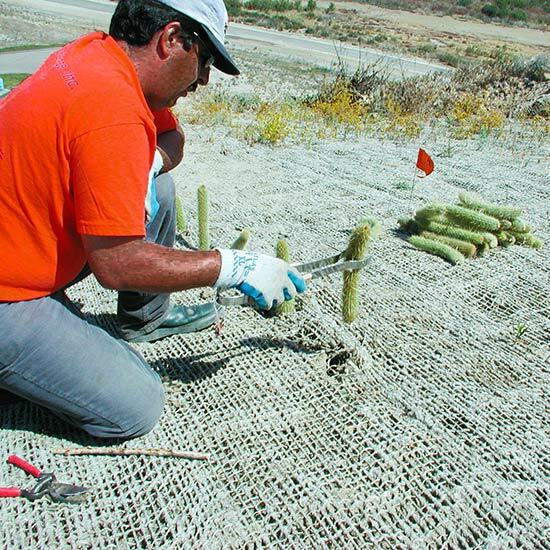 Our crews have successfully transplanted thousands of riparian cuttings and cactus pads. Natures Image owns and operates its own large, commercial hydroseeder. We can hydroseed according to your specifications, or we can custom design a mix for your project. 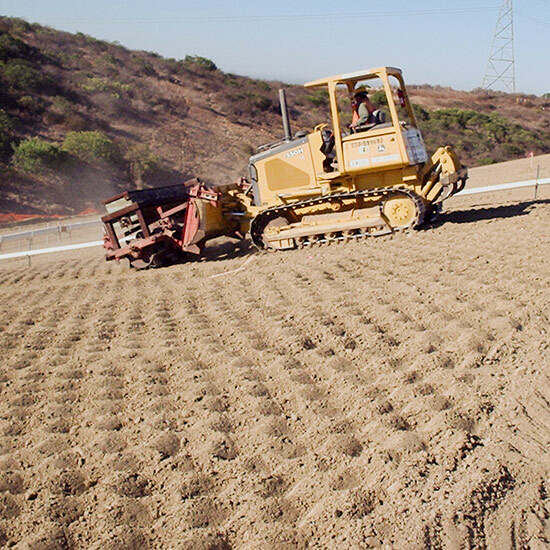 The same equipment can be used to apply several types of hydromulch for erosion control and Best Management Practices (BMP). 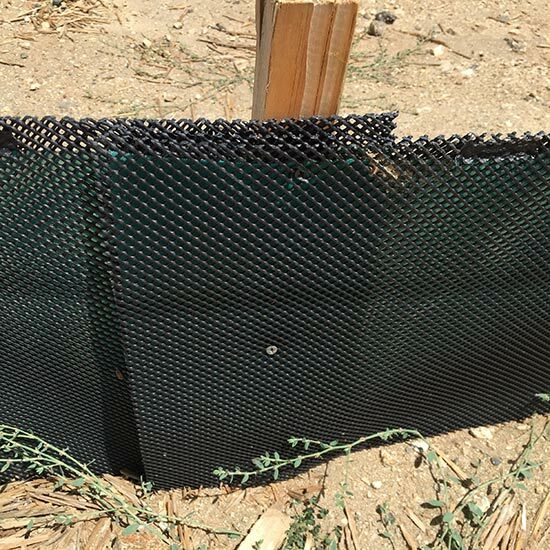 Our crews have installed miles of critter fencing, also known as exclusion fencing, designed to keep native species out of harm’s way on construction sites. Road and pipeline construction projects, among others, require crews capable of responding quickly to install and remove these fences. Our projects include fences designed to contain or exclude amphibians, mammals and reptiles. 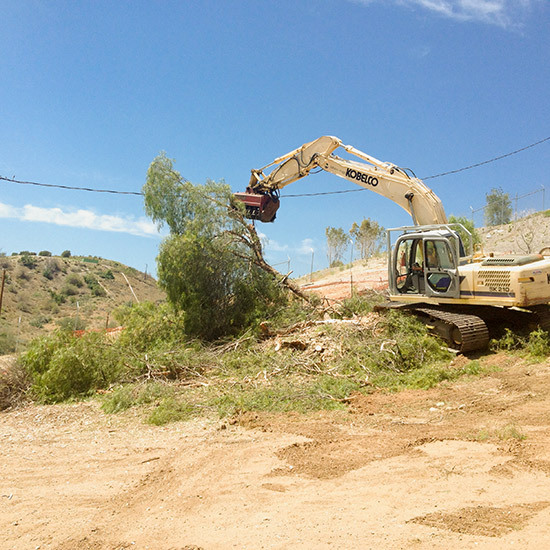 Unique among land-clearing contractors, our crew are trained to recognize and efficiently work around native plants. We are as concerned about preserving native plants as the biologists we work with. Using our heavy-to-light tractors and hand crews, we have cleared hundreds of acres in riparian habitats. Natures Image fields dedicated maintenance crews with extensive experience maintaining native habitat installations. We understand success criteria and have been instrumental in the success of hundreds of projects. We offer innovative solutions to watering in areas with little or no local sources of water. 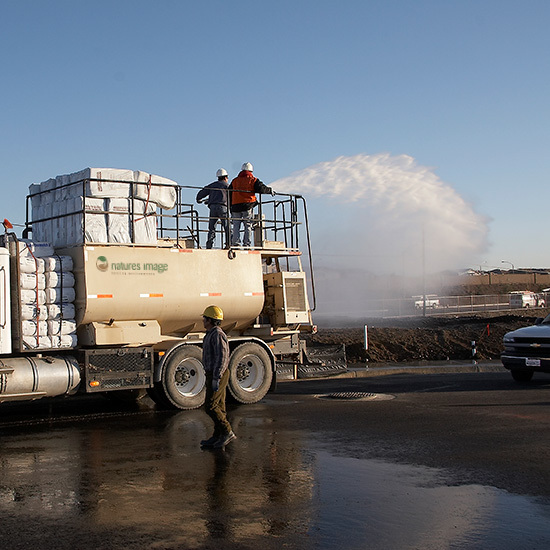 Our staff can design a system to use water in the most efficient manner possible, making trucking water into a site a viable alternative. Looking for award-winning habitat restoration services?